Don't say I never give you stuff. This is the first of a series of competitions (I always go a bit mad around my birthday and give gifts as well as receive them...) to spoil you lovely readers. Recently, I was sent a box of chocolates from UK based Chocolate by Genevie who sell delicious Belgian chocolates beautifully presented in luxury boxes, hand decorated with silk and butterfly emblems and they taste wonderful. Genevie Garcia lives in Edinburgh and has just opened her online chocolate shop. All of the chocs are handmade and all of the boxes are hand finished with silk and ribbon - no two boxes of chocolates are exactly the same. Chocolate making started off initially as a hobby but as more requests for delicious chocolates increased, she opened an online shop. Her partner Kevin, her Mum and 1 year old son Luke help her with various parts of the production. Mum does the ribbons & boxes, Kevin made the website and little Luke likes to taste the chocolate! It's a very small family venture that keeps them busy. Her plan is to offer handmade gift chocolates that are yummy and unique - she want to offer something that is markedly different to the other bigger corporate brands that are currently out there. So, the prize for the lucky winner is a Clear Square 15 Chocolate Box (rrp £13.99). It's a mixed box (no alcohol) of milk, white and dark chocolates in a pretty clear box trimmed with gold cord and a pretty butterfly. And how do you win??? 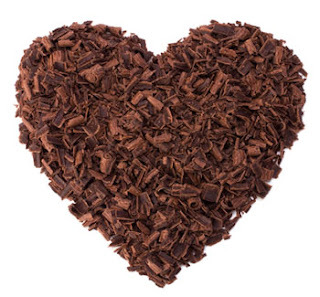 Follow my website (yes it means signing in...) and leave me a comment about your love of chocolate. Try to keep it relatively clean, Lulu can read y'know. And if you want a bonus entry, follow me on Twitter. Congratulations to Nina who won the chocolates. Please email me with your address & I'll post them straight out to you! * Random winner picking works like this. Every comment is assigned a number in order. I then ask Lulu to pick a number between the first & last. They're the winner. I love chocolate! Everything from a macaroon bar to my favourite Fassbender &Rausch chocolate ( which is as dreamy as our Mr Fassbender). Milk, dark, white. Give me everything but a Turkish Delight bar- yuck! Yum yum, chocolate. 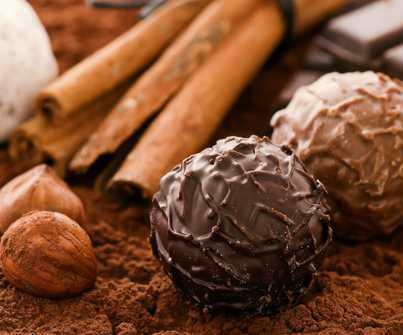 I am a lover of chocolate, especially dark one. I have a sweet spot for Lindt 70%. I can also snack on Meunier chocolate, which is usually used for baking but absolutely delicious on its won or mixed with some walnuts. I don't like too much things in my dark chocolate though but can definitely do with some nuts, raisins, almond or even caramel, violet or ginger with some very good milk chocolate. These belgian chocolate your are giving away could make my day some day, you know? Already following your twitter and just signed in to follow your site. Nina - YOU'RE A WINNER!!! I think I love chocolate more than anything in the world! Me and my girlfriend love chocolate like newborns love milk.. Please make us as happy as a newborn baby! I was once given some handmade French chocolates, if I were to win these I could do a comparison......! I know just the person that I could share these with, see how kind I am. Always loved these kind of fancy little chocolates. I remember my local shop having a little box of 4 butlers chocolates years agoand it was mothers day. I went around the house scraping together every copper I could find and eventually had the £2 I needed! The mammy was only delighted with them! Love chocolate! I have been lucky to have grown up in the alps so was raised on frenc, italian and swiss chocolate! Heaven! Love dark chocolate but can be tempted with milk and white chocolate! Not so sure this gorgeous looking box will do the trick but I'm keeping my fingers crossed to win as my birthday's coming up! i want to send flowers to mumbai and chocolates to mumbai.